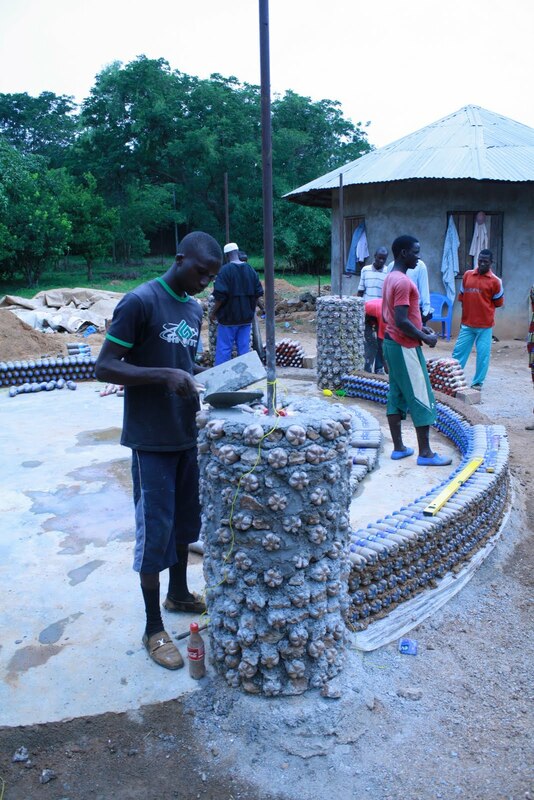 The first bottle house is under construction near Kaduna. Bottle-bricks made by local children are then assembled in to buildings by masons who are being trained in the bottle-build technique. The houses will be energy autonomous and almost totally recycled and could stand for 1000s of years! 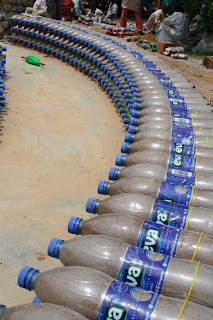 The Emir of Zaria came to the site to lend his support. 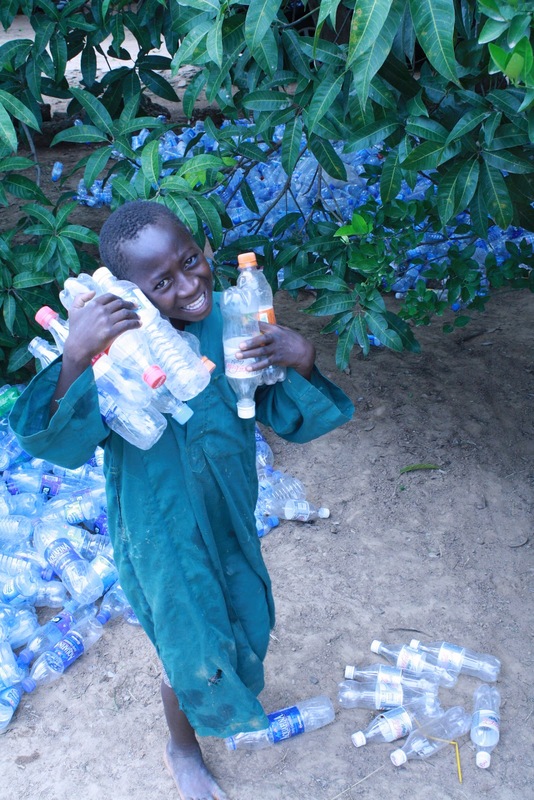 The next project is a bottle school in Suleja. Thanks to Katrin Macmillan for the pictures! Looks good but what about heat? Sorry to sound sceptical. I don't think the construction is either environmentally friendly or sustainable. I notice a very heavy use of plastics and plastics are extremely flammable and when they burn they tend to emit poisonous vapours. omo, he be like say this people no get work.